Here’s what we’re looking for. . .
Judge’s comment: Very bold. 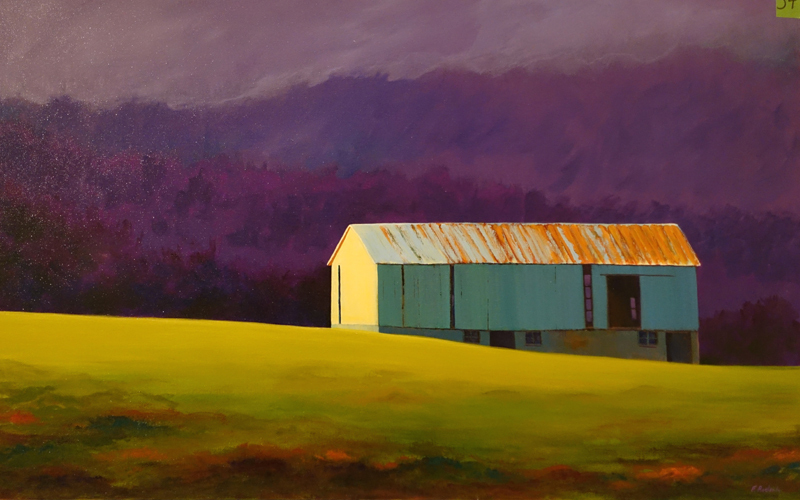 Graphic composition and dramatic use of colour. 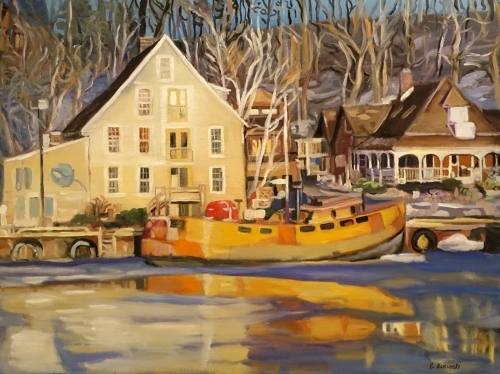 Judge’s comment: Lively colour, consistency of flow and spontaneous technique. 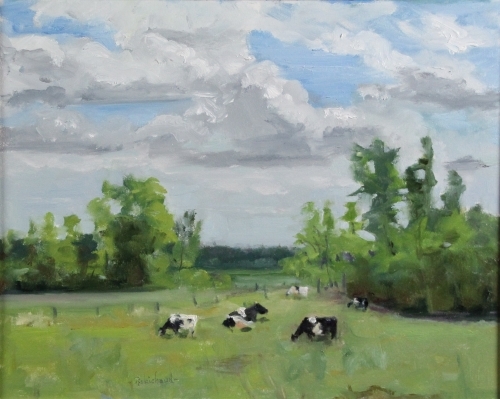 Judge’s comment: Traditional technique and subject matter, lovely subtle colour and solid composition create a pleasant pastoral scene. 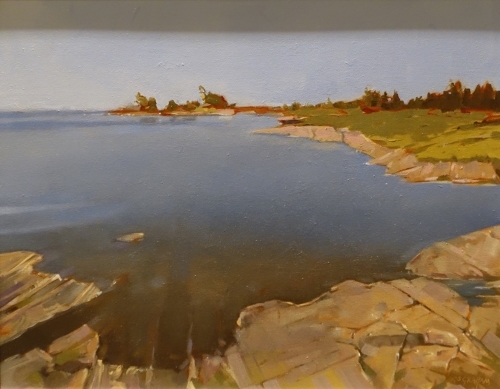 Graham Stuart “Honey Harbour Georgian Bay” Paint Ontario 2015 Honourable Mention Judge’s comment: Strong dramatic angular composition, subtle use of colour. Teresa Marie Phillips comment: This is a striking piece of work. Gwen is a master of light. And Mom would have loved the whimsy. It simply makes you smile. 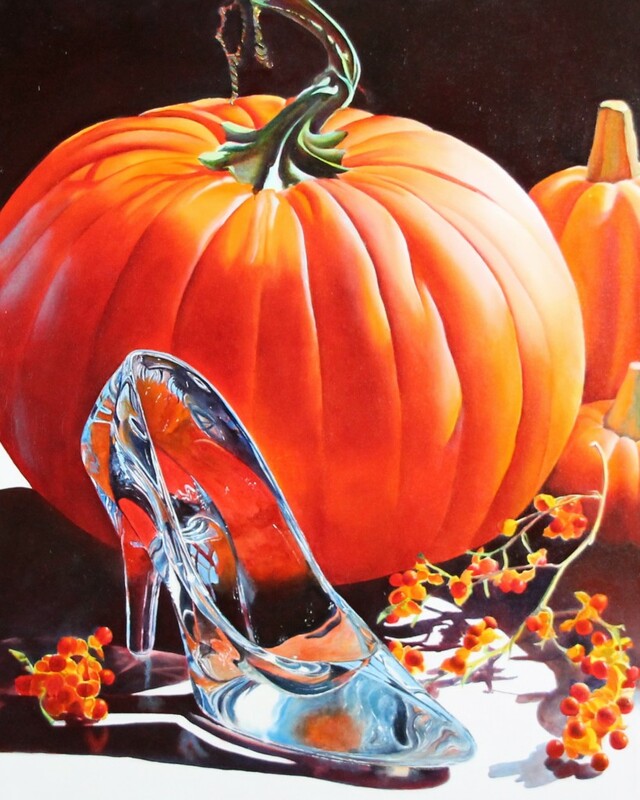 Linda Crossman’s comment: This is well done, a harmony of colour and texture and light. But most of all, it could easily be Southcott Pines. Tom loved walking through our woods. 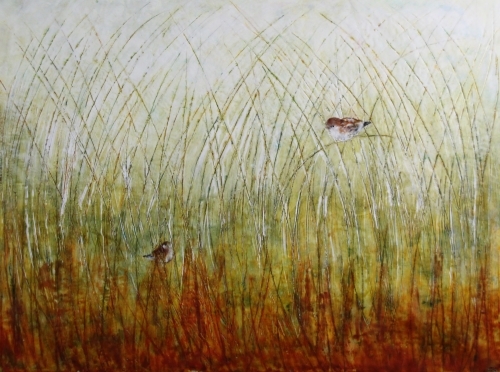 Comment by Hay’s spokesperson: This encaustic painting of small birds is a pleasure to look at. We returned to it repeatedly when viewing all the wildlife entries. The piece tells the story of small creatures going about their busy lives. Wildlife is not only the big creatures roaming about looking for a meal, but also about the daily flitting about interactions with other creatures. It is interesting to glimpse this micro-environment, not staged but natural. 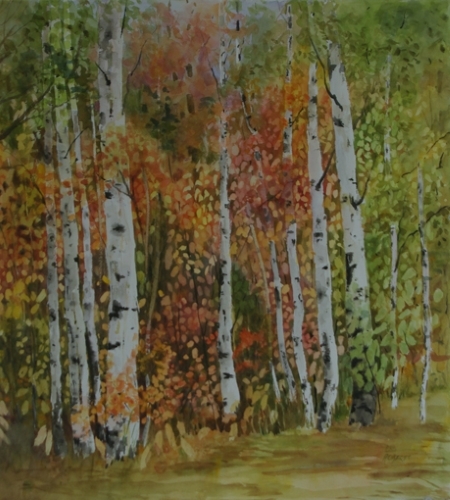 The encaustic medium adds a natural texture and sheen. Tom Downing’s comment: Living adjacent to the Pinery Provincial Park has allowed my wife Mary and I to enjoy walks along the old Ausable River that runs from Grand Bend to Port Franks. 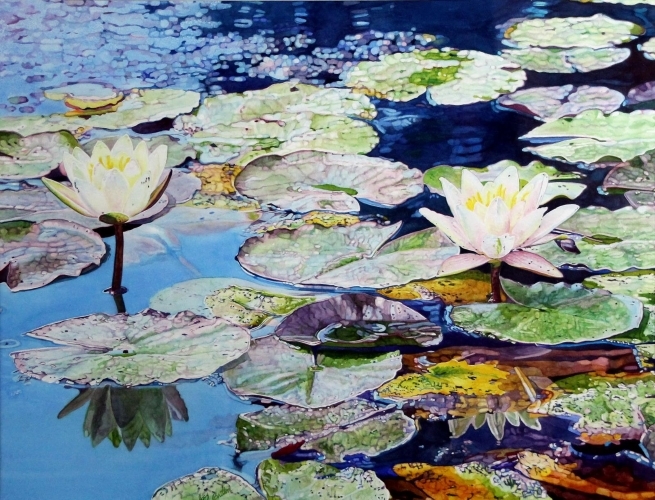 Lily pad scenes such as the one depicted in this painting abound during the summer and fall. Josy has captured the beauty and peace of this scene perfectly.